The analogy of unwrapping a piece of candy with a sledgehammer is a brilliant example of misappropriation. The sledgehammer in the cyber world is anything that catches the social media user’s attention, and the piece of candy is the brand. Whenever something is trending online, do you take advantage of the social media craze to promote your brand? 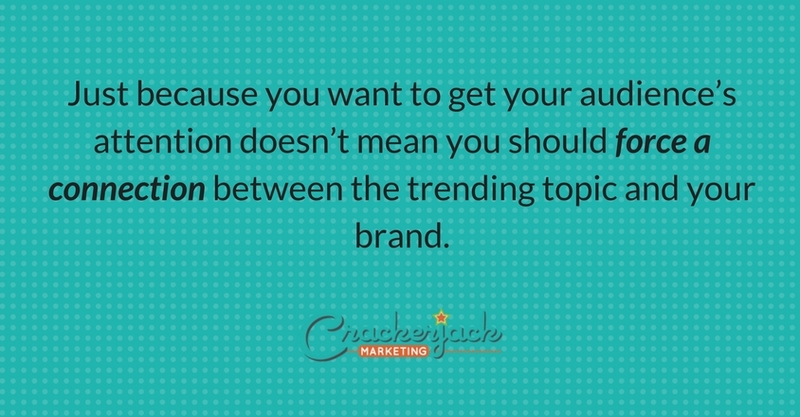 Just because you want to get your audience’s attention doesn’t mean you should force a connection between the trending topic and your brand. The content about your brand may look like spam if it doesn’t provide a clear relation to the hottest trend. Likewise, it may give the appearance of intentionally soliciting social media engagement. Remember that a trend doesn’t last forever, so don’t get carried away. Keep your brand’s footprint on the ground. If only your post could talk, it would beg you not to leave. The moment you introduce your brand to the Internet marketplace and then suddenly drop off from engagement, you are stealing the curiosity and peace of mind of the millions of people who see your brand and wait for answers to queries about your product. You are boosting their social media anxiety, especially if they are sharing your content and commenting on your posts but you are not responding at all. Taking your brand to any social media platform is one of the best marketing strategies, but abandonment does not contribute to a worthwhile result. Never leave your post. Engage and personalize your interaction; doing so will make your brand remarkable. Nowadays, people spend a great deal of time on Facebook newsfeeds viewing other people’s updates, videos and photos. Since social media has emerged as an effective tool for marketing, developers have designed and introduced more powerful tools to help marketers get the maximum value out of their social media marketing efforts. For instance, Facebook’s Edge Rank determines which posts appear in the newsfeed. 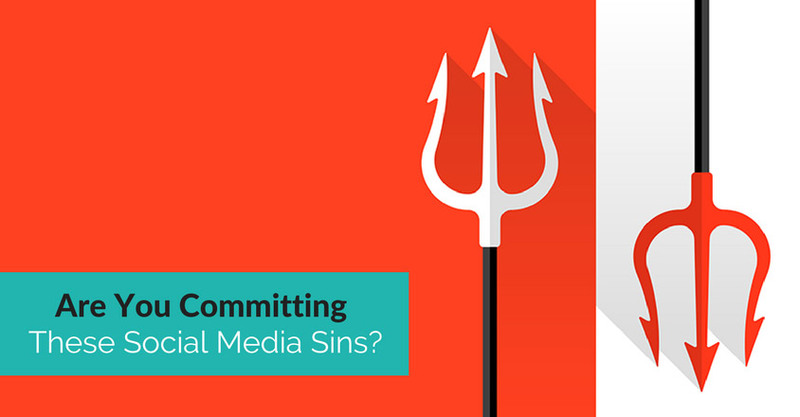 The reason brands are posting photos is simply because they remain in the newsfeed for longer. Since people can be manipulated into viewing your posts, why not invest in sharing inspiring content? Did you know you can’t use Instagram photos in advertisements without express consent? Did you know it’s illegal to ask Facebook users to share a post as part of a contest entry? Did you know any social media platform can suspend you if you’re not carefully following its rules? It only takes one tick on the “I agree” box without reading the terms and conditions to be ignorant. Take the time to read the terms of service. Are you getting redundant with your content? If you were in your audience’s shoes, would you get bored? Monotonous posts kill interest. Unleash the creativity in you. Research and create content related to your audience’s passion. If your followers like photography, do not talk about photography techniques all the time. You can come up with fresh content, such as the latest but cheapest camera accessories on the market or different ways to clean the camera. Do you find it annoying to see your news feed flooded with photos of the same person or quotations and updates of people glorifying themselves? Selfie syndrome is an inevitable reaction in our social culture. We are now living in the me generation. Remember, social media is not just about you. There are billions of human beings contributing posts to a platform. Make your content stand out and worth sharing. Isn’t it cool to get recognition from other people? Let’s figure out how uniformity affects the social media strategy. Each social media site favors different types and frequencies of content. For instance, images do better on Facebook. Twitter is limited to 140 characters, but you can post more frequently to Twitter than to Facebook. Casual language is acceptable on Twitter and Facebook while most people prefer professionalism when using LinkedIn. With these key differences, you simply can’t cross-post the same content at the same time and get the same level of effectiveness. Interaction and engagement are keys to meeting your social media goals and keeping your audience’s interest. 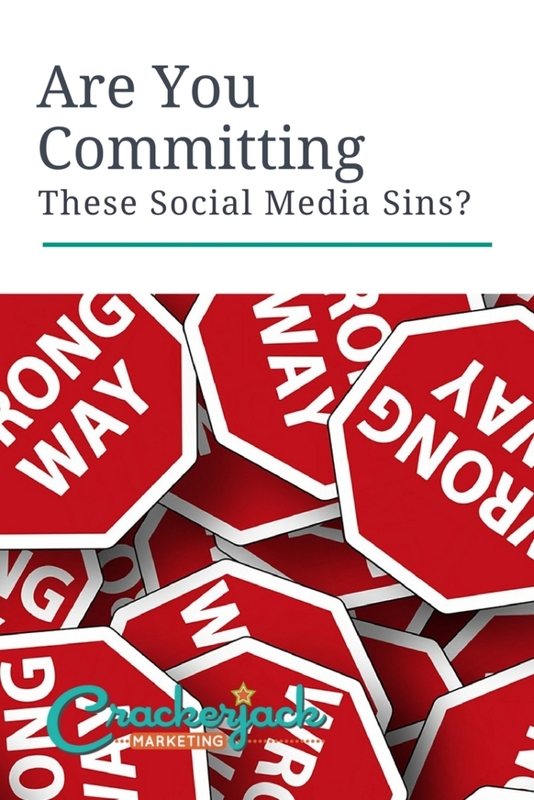 Avoid the seven fatal sins of social media, and you’ll have the best chance of standing out in the social media crowd.